Can You Change a Novel’s Genre After Writing It? Is it possible to change the genre of a novel you’ve already written? If so, how would you go about it? Re: shifting genre of story from romance to crime – advice needed please! Your Snowflake Method helped me to plan and write my first book(working title:”A Darker Burgundy”) and I submitted the early chapters for a First Novel competition in a UK women’s magazine and it was listed as a runner-up. The story is a romance where love turns to hate in Nazi-Occupied France. I have edited and re-drafted the work many times and I’m now thinking of switching genre from romance to crime, hoping this way to lend the story more pace and momentum in the hope that this may make it more appealing to readers/agents. Please can you kindly advise me how to go about this daunting task? Randy sez: this sounds tricky, at least on the surface. A romance novel is written for one target audience. A suspense novel (I think that’s what you’re really asking about, although I can’t be sure) is written for an entirely different target audience. Let’s talk about these two genres first. In a romance, the protagonist is the relationship between the two main characters. This relationship is in great danger of being killed. Usually, the reason the relationship might die is that one or both of the characters might pull out of it. Typically every scene (or almost every scene) includes one or both of the main characters. The story usually ends with the relationship blooming into a lifelong commitment. In a suspense novel, you typically have one character as the protagonist. That character wants to do something or prevent something that would put some person or some group of people at high risk (possibly a nation or even the entire world). A suspense novel can have a large cast of characters and a large stage and you aren’t required to show the protagonist in every scene. So the problem here is that there’s not a lot of overlap between these two kinds of stories. It’s possible that you’d need to rewrite the entire story to make it conform to the suspense pattern. But there is some overlap. The romantic suspense subgenre works as both a romance novel and a suspense novel. As in any romance novel, the protagonist is the relationship between the two main characters. And as in any romance novel, the relationship is in danger of being killed. But the reason the relationship is in danger of being killed is because one or both of the two main characters are in danger of being killed. That’s what makes it also a suspense novel. How would you transition your story to a new genre? The first thing to do is to decide exactly what genre you want to write. Nobody can tell you what genre to write. You get to decide. What do you want the book to be? Romance? Suspense? Romantic suspense? Something else? Pick one. Amazon has hundreds of subcategories. Browse around until you find exactly the one that you can envision for your book. The second thing to do is to make sure you know the “rules of the genre.” There aren’t any written rules, of course. You learn the rules by reading current books in your genre and learning what’s done and what’s not done. The rules will tell you what kind of story structure you can have and what the tone of each scene should be. And lots of other things. If you’re very lucky, the manuscript you’ve reworked many times will be pretty close in structure to the new genre you’ve chosen. In that case, just tweak what you’ve got to fit the genre. If you’re not lucky, you’re going to have to make structural changes to your novel to fit the “rules” of your new genre. 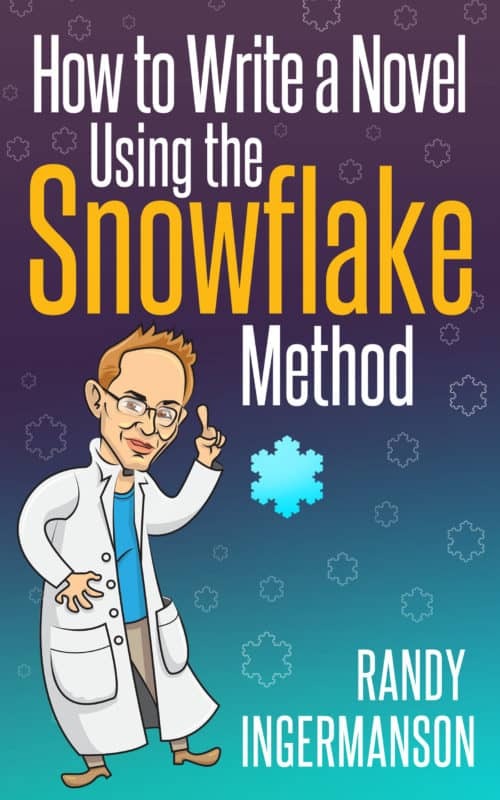 Since you’re a Snowflaker, you can just make a copy of your existing Snowflake document and tweak that document. 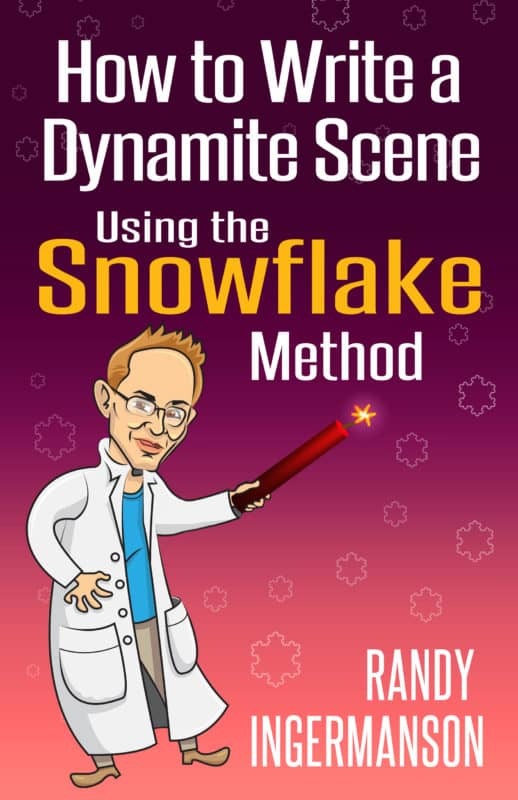 Then use that new Snowflake document to guide you in adding, deleting, and moving scenes around in your manuscript. Finally, you will probably also have to adjust the tone of your writing. (Or maybe not. It sounds like you’ve already got a suspense-like tone, which is the reason it’s not having success as a romance. So if you’re lucky, the current tone of your novel is already appropriate for your category.) But the point here is that you should work on the tone of each scene after you’ve already fixed the structure of the novel. It would make no sense to change the tone of scenes before fixing the structure, because you’d be reworking scenes that you might eventually end up deleting. Of course, this might end up being a lot of work. That’s not fun, but it’s your reality. If you’re stuck in a swamp, the only way out is to press ahead and get out. So grit your teeth and do it. And the lesson to take away from this for your next book is to define the category of your novel very early in the process of Snowflaking it. That’s a lesson that will pay big dividends for the rest of your writing life. Can You Use MRUs Everywhere? And more importantly, should you use MRUs everywhere? What if you don’t want to use MRUs everywhere? Not sure what an MRU is? No worries, I’ll explain that before I answer these burning questions. HI Randy, great site. I’m enjoying reading your blog. My question is: How do you approach the MRU pattern rule when building in back story and providing character introductions? I understand the need for a constant driver pushing the story forward, and I try to integrate backstory into motivations and reactions, but sometimes I have a hard time forcing an MRU onto a brief exchange that conveys needed information–especially in the early chapters. There are other times that seem to require “quiter” moments, breathers almost in the rhythm of the story. I believe these can still be broken into MRUs, but they stretch. Can you give me an example of an MRU from a more mundane part of a novel than the moment a tiger attacks? A “motivation” is the term Dwight Swain uses to refer to anything that happens external to your Point-of-View character. A “reaction” is the term Dwight Swain uses to refer to anything that the POV character does. You might say that this is confusing terminology, and I whole-heartedly agree with you. But Dwight Swain was the master, and he created the language, so we’ll use his terms because his ideas are really, really good. The tiger dropped out of the tree and sprang toward Jack. This short paragraph is all about what the tiger is doing. Jack is mentioned in the paragraph, but he’s not the one doing the action. This short paragraph is all about what our POV character Jack is doing. He’s feeling emotions. He’s acting. He’s speaking. He could also be thinking, but in this particular MRU, we don’t show his thoughts. Why Should You Care About MRUs? “Showing” means you’re writing in MRUs. Showing is usually a good strategy. Telling is usually a bad strategy. “Showing” is more fun for your reader, but it’s inefficient. It gobbles up page count like crazy. How Do You Decide When to Show and When to Tell? The reason you show the exciting parts is because you want to spend as long as possible on the fun parts of your story. The reason you tell the boring parts is because you want to get through the boring parts as fast as possible. Not exactly rocket science, is it? That’s fine. Not everything we do in writing fiction is deep. Sometimes it’s okay to be simple. The above rule is not an ironclad rule, but it’s a very good rule of thumb that will be right most of the time. There will be times when you violate this rule. Use your writerly instincts to guide you. Can you start your novel with the inciting incident? If not, how do you decide where to put it? I have placed my inciting incident real close to the beginning, like 2 pages or so. In order for the reader to care about what happens to the protagonist in the inciting incident, my first scene has no conflict. It’s just some emotional stuff as he thinks about his girlfriend and proposing to her that night after work. I just didn’t know if I should have anything to overpower the inciting incident. Is this kosher. Given this, do ALL scenes have to have the three aspects: goal, conflict, and setback? If so, I’ll have to come up with something. I wanna do this right. Thanks for any help. If you happen to have time to answer this, will you answer Online or email to me? Randy sez: First, let’s define our terms. The inciting incident is some “new thing” in your protagonist’s world. It marks the change that is ultimately going to pull your protagonist into your story. Usually, this is something external to your protagonist, but it’s possible it could be an internal change. I don’t see a problem with starting the inciting incident in the first two pages of the novel. You can put it pretty much anywhere you want, so long as it’s reasonably early in the story and as long as it works. Some stories start fast out of the gate, and some take longer to get rolling. But let’s face it—when somebody’s in trouble, we care. The news this last week has been about twelve young soccer players and their coach in Thailand, trapped by rising floodwaters two and a half miles into a cave. The minute we heard about them, we cared. Because that’s what humans do. I don’t know anything about your story, James, but I would think that “some emotional stuff” about a girlfriend your protagonist is about to propose to sounds reasonably interesting already. Fiction is about giving your reader a powerful emotional experience. I would also guess there’s some conflict here, even though only your protagonist is in the scene. Internal conflict is conflict.